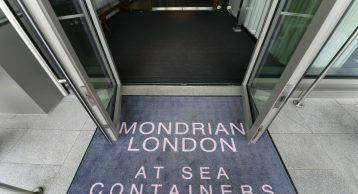 We have installed Entrance Matting in highly prestigious buildings around the UK and now we can proudly add the Mondrian Hotel situated in the heart of London to that list. Mondrian London at Sea Containers brings a bold new energy to London, blending the style and sophistication of the boutique brand with Southbank’s eclectic vibe. Guests will immediately be drawn to the giant, copper clad wall inspired by the hull of a ship, running from outside the building, through to the lobby and on to the river side of the hotel. This was a stunning project for us to be involved in one which allowed us to showcase our flagship products and high-quality service. 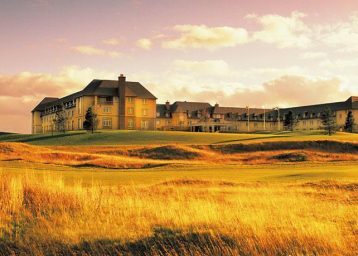 Our Matting has helped create a luxurious atmosphere in this hotel through the high level of customisation where each element right from the profile down to the insert can be bespoke made. 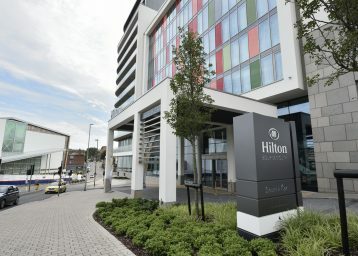 We installed our flagship Entrance Matting INTRAflex XT at this hotel. This Entrance Matting has a black anodised frame to suite the internal décor and add strong aesthetic value. 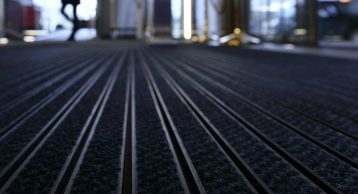 Why is Entrance Matting Important? 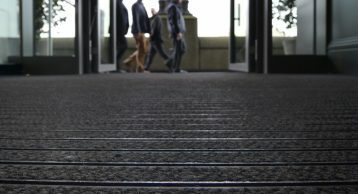 With the help of our Entrance Matting we have been able to maintain safety in various buildings. Did you know that 90% of slip accidents occur on wet or contaminated floors? The use of effective Entrance Matting significantly reduces the ingress of dirt and moisture, and ensures safe access for every visitor. 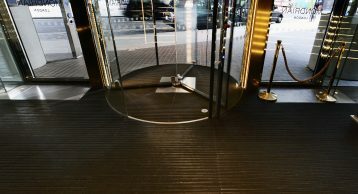 As a result of installing our Entrance Matting cleaning and maintenance costs have been reduced. Did you know that cleaning costs are estimated to be between £600-£1000 per kg of soil removed by preventing any significant ingress of dirt, costs will be reduced dramatically. We have also helped protect and preserve internal flooring by acting as an effective barrier to this dirt, preventing any damage to floor coverings, because on average 0.58g of soil is brought into the building with every entrant. For an office of 500 staff that’s almost 4kg of soil every week, this soil can be abrasive and cause scratches to the internal flooring, our Entrance matting helps prevent that. Finally, we have helped retain clients as the reception and public areas remain visually attractive, safe and clean. 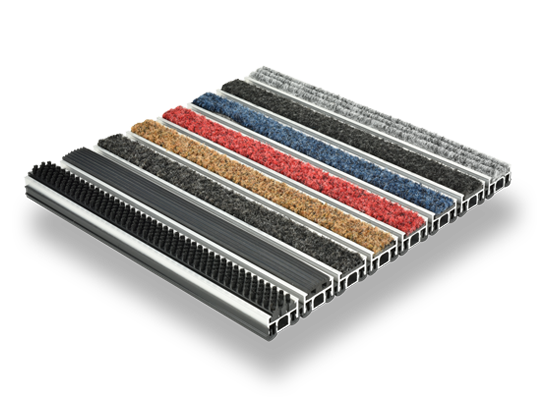 At the forefront of Entrance Matting design and innovation, this product has been used extensively throughout the UK at high profile locations, providing optimum durability, performance and aesthetics.